Welcome to the Lexington Park Volunteer Rescue Squad Guestbook. Your feedback is important to us. Feel free to leave your comments. Guest Name: Raymond A. Jones Jr.
hello, i came in and joined the associate members and the last meeting i missed due to being ill, how do i get in touch with someone to find out when the next meeting or event is? Bit by a snake? In a dog fight? Poison spider bite you? How do you treat a penetrating injury? of Patuxent Naval Air Station, join us for a lecture on Hazards in Nature, at our drill 7/19/11 @ 19:00. Don’t miss this very interesting Lecture and know how to prepare for all Natural Hazards. We (RVRS) are fortunate to have Emilia Gibbons-Baker, RN of SMH L & D, also a Midwife, to give us a lecture on Delivery and care of pregnant patients. MEN, IF YOU ARE SQUIMISH AS TO DELIVERING A BABY, THIS IS THE LECTURE FOR YOU. We have also posted this to other web sites as an open lecture to those other squads that may have an interest in attending. This drill starts Tuesday, 6/22/11, at 19:00 (7:00 PM) and shouldn't last more than 2 1/2 hours. I just wanted to say I am very proud of all of you guys. I am glad that I grew up here and I miss coming to the squads buliding and seeing you guys. I am very proud of who my parents are. Kim and Jason Adams I love you guys even tho I don't say it all the time. Thank you for all of your help with my Son that rolled his truck on Mattapany Road today. You guys were so sweet to him and his friend and to me. I'm sorry that I was upset. When I saw my son on the ground and the damage to his truck-this is every Mothers worst nightmare. I just want to thank you Angels for all that you do everyday, No questions asked. God Bless you all!!! Oh Seth and his friend walked away with bumps and bruises, by the Grace of God. I will be moving to the area soon, so I'm checking y'all out. Please give me a call at your convenience in regard to a drill we would love to have you lecture at the Squad. We need someone of your quality to give us some pointers and review of sllinting and wound management. Also Blood Born Pathegeons is also needed for review. Please call me at (301) 872-4552 or Cell (240)298-3335 or C2 (301) 904-6730. 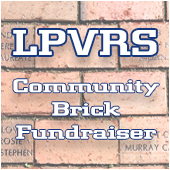 ROCK ON LPVRS! With love from MCBH! It's been a long time but I wanted to let you know I think of you all the time. I miss all the runs we've made together. Hope all is well and you're all being safe. Damn I miss Lexington Park! Take care everyone. Beautiful building. Good Luck and stay safe. Hi guys, I am a former member BDVFD/LPVRS from 96/98, and just wanted to say hi, and see who might still be around. Tim and Kathy steered me to the site, and it sure brings back memories. I hear there are still a lot of members still around from my time, and I'm glad to hear that you are all still carrying on. I am working on getting my certification back to work here in MI, it's a challenge with poor vision, but I'm going to do it. Good luck and best wishes to everyone done there; maybe one day will bring me back for a visit. Hey I ran with you guys back in 01-02, when I was stationed at NAS Pax River, just stopped by to say hello and I miss running with you guys. Feel free to drop me an email if you remember me. Just wanted to see the 'family' -- looking for Pics of Ralph, Lorraine or Eva.... Found Eva... and Ralph (AKA PopPop). Thanks for all the squad does for everyone in the area. Thank you also for watching over Nanny for us! Your group is always in our prayers and Greetings from God's Frozen Chosen! Had a great visit with the Friday night crews at Co 38 and Co 39. Sometimes I wish I was still running!! Heyy guys! i love u guys n sooner r later i WILL b a member.SAVE ME A SPOT!!!!!!! Just wanted to say Thanks to the members from LPVRS for playing us in the Donkey Ball game. A good time was had by all. See you next year!!!!!!!!! I was with the Ridge Vol rescue Squad for 10 years in the 70's and on Wednesdays during ther day ran with mrs Dolly Davidson and Reggis gardner for thoes that are old enough to remember. Any way I found this site through Fran and Jack Cullison of the Ridge Vol rescue Squad. I do want to thank you for remembering the Sept. 11, 2001. I lost a nephew in one of the trade center buildings. I have since found a St. Marys County Poliece / Fire scanner link. My how have things have changed. One last thing "You All deserve A Gold Star for being so deticated. Hugs to one and all, Old and new. Hi Co. 38 & 39 members. On September 12, 2009 @ 3:00pm Laurel Grove Park in Mechanicsville we have invited you to play against us in a Donkey ballgame. If you have never seen one or been involved in one they are hilarious. Tickets are on sale now. It is a good time for all and during the half time we are having musical donkeys played on the same order as musical chairs. Hope to see you there! The members of Mechanicsville Vol. Rescue Squad would like to Thank the fill-in crew from your company for filling for us Saturday so that our members could be in our parade and enjoy themselves for the rest of the day. A good time was had by all. Thanks for helping us out & congratulations on the trophy you won. Just thought I would be kind enough to sign your guest book again while I fool with my laptop computer. Nice website. Keep up the great work. Stay safe. Just would like to take the time to wish everyone a happy but safe st.patricks day. Hi everyone I just wanted to say thanks for helping me and My odlest daugther Brittany when We needed u. U guys Man Brittany Laugh when She was having a gall bladder attack last year. SHe wanted me to tell u guys THANKS. I wish I can Rejoin But I cant They r getten Ready to do back surgery on me next Month. U guy r the best Squad out there.Again THanks to all members and God Bless U God is looking over u everytime u go out. Love all u guys. I will come and Visit u soon. I just wanted to say that I think you are all doing a FANTASTIC job. I miss you all so much, and keep up the good work gang! I would like to wish everyone a merry christmas and a very safe newyear. LPVRS had only 2 ambulances, one van and one box. There was only one station. There were a whole lot less folks back there who would volunteer. A hurricaine bounced off the coast, causing flooding, including the back floorboard of my car. Joe Thiesman broke is leg and the news kept playing it over and over again. I remember being in the box unit, going to Baltimore, when the driver hydroplaned, went thru a median, into oncoming traffic, made a left turn, a u-turn and then back to Baltimore we went. Had to wash sod off the roof when we got back. This prepared me to stay calm after we hit a Beefalo in 2003 doing 75 mph, and rolling to out side. We all got out ok. I remember then Gardiners, the Davidsons, Russell, JoAnn Payne, Suzi Dean, but my memory combined with meeting people with similar names has me confused as you else put up with me.